Do you know what category your organisation falls into under the Companies Act 2006? i.e is it small or medium sized or large or a listed company? 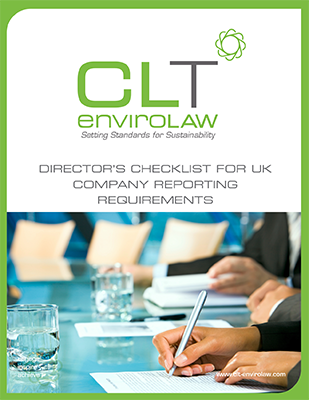 Do you know what your director’s reporting requirements are in relation to non-financial information? This user friendly checklist and flow chart will help you understand the director’s reporting requirements for non-financial reporting. The flow chart will help you determine the category your company falls into and the table sets out what environmental and social information has to be disclosed in the business review.